Here is a giant raspberry cupcake I made for my mum's birthday, using candy melts to make a cupcake case - a great technique that I will explain below. I created the recipe myself though it is fairly straightforward. It's a good idea to make the candy melt shell first as it needs time to set in the fridge. Melt the candy melts in the microwave according to pack instructions. Use a spoon to spread around the inside of the bottom part of the giant cupcake mould - this is why a silicon mould is much better than a metal tin for this recipe. When you have an even layer around the inside of the mould, making sure you have not left any gaps, place in the fridge for 30 mins- 1 hour to set. Remove from the fridge, melt the rest of the candy melts in the microwave again and spread another layer inside the cake mould and return to the fridge. When that layer has set, carefully peel off the silicon cake mould by turning it slowly inside out until you are left with the candy melt shell (see further down for a photo). Preheat the oven to 175C. Cream the butter and the sugar then beat in the eggs. Fold in the flour, then the raspberries. I used my Kitchenaid so the raspberries were broken up but not completely blended. I bought this giant cupcake pan ages ago but hadn't gotten around to using it, after an earlier not particularly successful attempt at a giant cupcake in a metal Wilton tin (which was down to the recipe that I used). I decided to give it a go, so sprayed both parts of the pan with Cake Release, stood it in a roasting tin and poured in the cake batter. I left plenty of room for the cake to rise. Bake in the preheated oven for 35-40 minutes; test the cake with a skewer or cake tester to make sure it is cooked in the middle. Allow to cool in the silicon mould then turn out onto a wire rack. You will need to trim the bottom part of the cake a little to fit inside the candy melt shell, as you can see below. You can also see the raspberries in the cake! Place the trimmed cake inside the candy melt shell. It looks great! To make the icing, cream the softened butter and icing sugar and add the food colouring. My butter was a bit too soft which meant my icing wasn't stiff enough to pipe, meaning I couldn't pipe the swirls that I wanted to (and I was in a bit of a hurry). Instead I spread the icing on with a palette knife; I think it looks fine like this. Dr. Oetker sent me some wafer butterflies recently, and they have also sent me wafer daisies in the past. I think these are brilliant - when you don't have time for fancy decorations on a cake, you can just pop on a couple of these and they will totally transform your cake. The butterflies are particularly pretty in my opinion, though I have to admit I haven't been able to find them in any of the supermarkets I shop at yet! Here's the finished giant cupcake, decorated with butterflies and wafer flowers. The cake tasted very nice but most of all I was pleased by how it looked. The letter we have chosen for this month's Alphabakes is R so I am including this raspberry cake. The challenge is hosted by Ros at The More Than Occasional Baker this month. 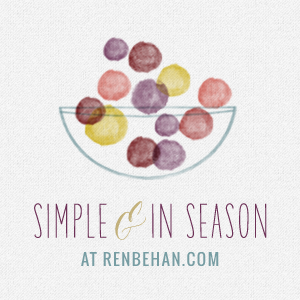 Raspberries are in season so I am sending this to Simple and In Season, hosted by Ren Behan. Shaheen at Allotment2Kitchen has launched a new blog challenge, the Vegetable Palette. This month she is asking for recipes made with any red fruit or vegetable. I am also entering this in the Bakespiration challenge run by Stuck In The Tree, click on the link to check it out - their site is all about having fun online and off. What a very pink cake! I love sponge with fresh raspberries...... I bet your mum was very pleased! it looked good and it tasted really nice. Thank you so so much Caroline, a fab and very red berry seasonal entry for Vegetable Palatte. I am sure you mother was delighted. You introduced me to candy melts, I had not heard of them before, so will keep that idea in the back of my head for future bakes. Looks fab! I love the chocolate shell idea for the base - when I made mine I struggled to get it looking neat so this would be a good way to avoid me having to do that! I'm sure your mum loved the cake.It looks fab and I love the fresh raspberries in there. Glad the candy melt shell work - its the only way I'm making my giant cupcakes now. What a lucky Mum! Thank you so much for entering Simple and in Season. The round up is now published.